Imagine going about your world with sight loss. Walk the Blindfold Mile is a fundraising event that aims to increase awareness of the challenges that blind and partially sighted people overcome each day. We challenge people to go out for a mile along a designated route, walking in pairs – one blindfolded, one sighted from St. Stephens Church taking in the Heart of Worcestershire College, the Palace Theatre, the Library and the Kingfisher Centre, swapping over along the way. There are challenges related to everyday tasks along the way, e.g. stopping for refreshments, purchasing a small item. The event has been staged across Worcester City Centre and Malvern Town Centre in recent years, involving over 200 participants, and this year moves to Redditch. Many of those who have taken part describe it as a very powerful, memorable and attention-grabbing experience! Cllr Palmer who lead the Malvern event said, “It really does make you appreciate the courage that sight impaired people have to venture out into a world that they cannot see. I was diagnosed with Macular Degeneration four years ago and I’m gradually losing my sight. Sight Concern is an amazing organisation that helps people come to terms with the effects of sight loss, as well as giving valuable advice and support. I walked the Blindfold Mile so that I could experience some of the challenges that lie ahead”. 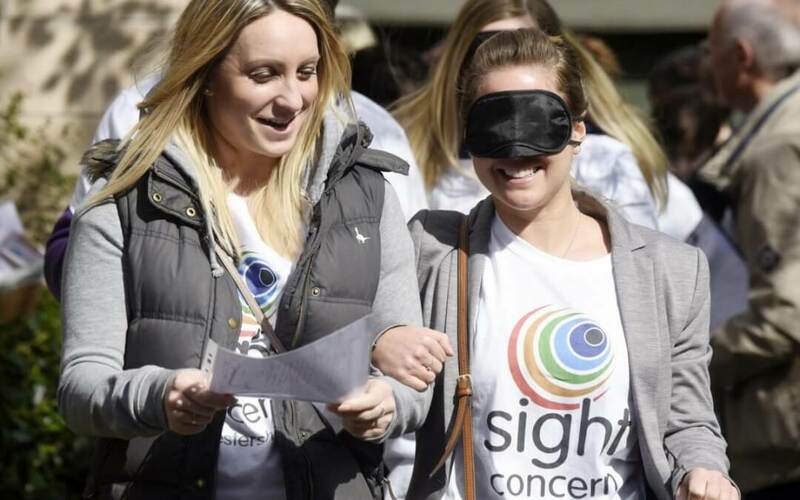 Kirsty Litherland from Holland Opticians in Malvern said, “We were proud to take part in the blindfold mile raising lots of money for Sight Concern Worcestershire so they can continue their fantastic work. It was a great turnout and a brilliant experience”. Thank you for raising as much sponsorship as possible to support our work helping blind and partially sighted people to lead independent and fulfilling lives. 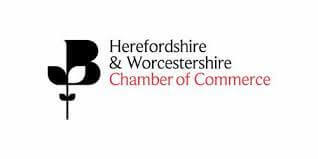 You can pay in your sponsorship at: Virgin money page or send a cheque payable to “Sight Concern Worcestershire” FAO Fiona Blake, Bradbury Centre, 2 Sansome Walk, Worcestershire, WR1 1LH. Thank you to everyone who has Walked the Blindfold Mile to date and to our wonderful volunteers, marshals and sponsors for your support and contribution: Redditch Lions, Herefordshire & Worcestershire Chamber of Commerce, Lesk Engineers and Malvern Panalytical, Lisa Roberts Photography, Malvern Gazette, Police Cadets, Malvern Library, Malvern Cube, Malvern Theatres and Malvern Town Council!